"I may be a female, but don’t let that fool you. I am a very competitive athletic person, who doesn’t take no for an answer, since I started playing sports at 7 years old. I am currently a Certified Personal Trainer. I train clients in my home gym or I travel to their gym or home to get their health on track with diet and exercise. I am also a spokesperson for InduraPower battery. Some of the things I do on behalf of InduraPower are homemade videos explaining about their Lithion Ion batteries benefits, interviews with current customers who use the batteries in their off-road vehicle or daily driver & promote the batteries on social media. I also attend Jeep group Meet & Greets to show what all the products are about. 2017 was my first SEMA show. WOW…amazing learning experience. I had a camera crew follow me to different cars & truck builds that had an InduraPower installed in them. The owners of the vehicles answered my questions about their builds and why InduraPower is a great battery to have in their build. Soon you will see me on TV for an off-road race, where I prove to men that I am just as good, if not better, on the trails. My driving skills show how smart I am on the courses and my competitive side shows I don’t quit. Racing on this TV show has given me the itch to race off-road in my Jeep or buggy, if one is provided. I feel I have the determination, skills and mindset to succeed and do very well in races against men. I do have some racing experience. I have raced dirt track in the sportsman class, where I placed top 10 every time, finished every race and never caused a caution. Racing on those oval shaped dirt tracks taught me to stay calm and never doubt myself. I stay active and in shape by playing soccer on multiple teams, I kick-box for discipline & full body cardio and train myself in the gym with weights. I tell people age is just a number; I am currently growing younger. You must adjust how you do things when active, but being active is what keeps me feeling young. 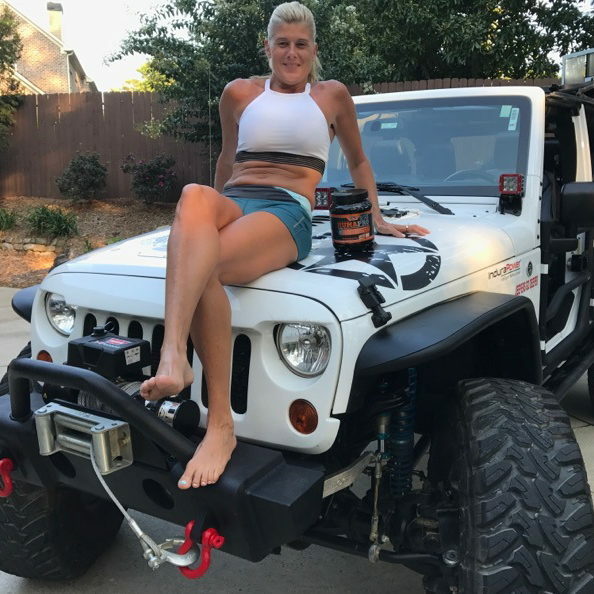 I am currently working with other companies on being their spokesperson, can’t wait to talk about them and their great products for jeep owners. I hope to meet you in the future on the trails or at an off-road race. Have fun and enjoy life while you can, because life is to short to not have fun." A: "Paella, a seafood and rice dish from Spain." A: "I have 2 children. My daughter is 22 years old and lives with her boyfriend. My son is 17 years old a Senior in High School, he wants to major in Industrial or Mechanical Engineering. He learned how to off-road from me when he was 13 years old…he loves it and wants to build his own off-road vehicle now." A: "I have 3 dogs. Maverick is a 200 lb GREAT DANE. He is a big dog that wants to be lap dog and is very goofy. Kaner is a 55 lb PitBull, and is my daughter’s dog. He is the nicest snuggler around. He loves chasing squirrels and hugs from you. Dexter is my other dog, he is a Lab-mix rescue, who I swear may have cat in him..haha. He is very shy around new people, but when he knows you then he doesn’t leave you alone. My dogs are the literally the 3 musketeers all different personalities, all lovable, well trained and love kids." A: "No. I would love to." 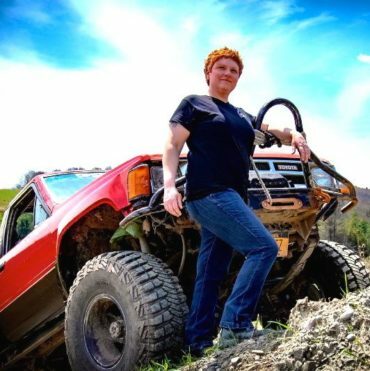 A: "I was 15 years old when I first started in Illinois; 42 years old in Georgia with my Jeep." A: "No. My son and I are the diehard off-roaders. My husband and daughter want nothing to do it with it." A: "I always drive. Occasionally I will be the co-driver when my son drives, but it’s rare, since he works a lot." A: "I always have Mexican food after a great trip on the trails." A: "One to two times a month." A: "When I was a teenager in Illinois, we would go into the corn fields with trucks and do doughnuts and create trails through the fields towards any tree areas. Then in 2013 I decided that I wanted to try true off-road trails in a jeep. Thinking I would only do simple basic trails only and that would be enough. Boy I was I wrong, I got a taste of doing the harder trails and loved the adrenaline rush I got, which meant if I wanted to do anything harder, then I would need to add lockers, stronger axles, etc." A: "I like wheeling in a bunch of different locations. 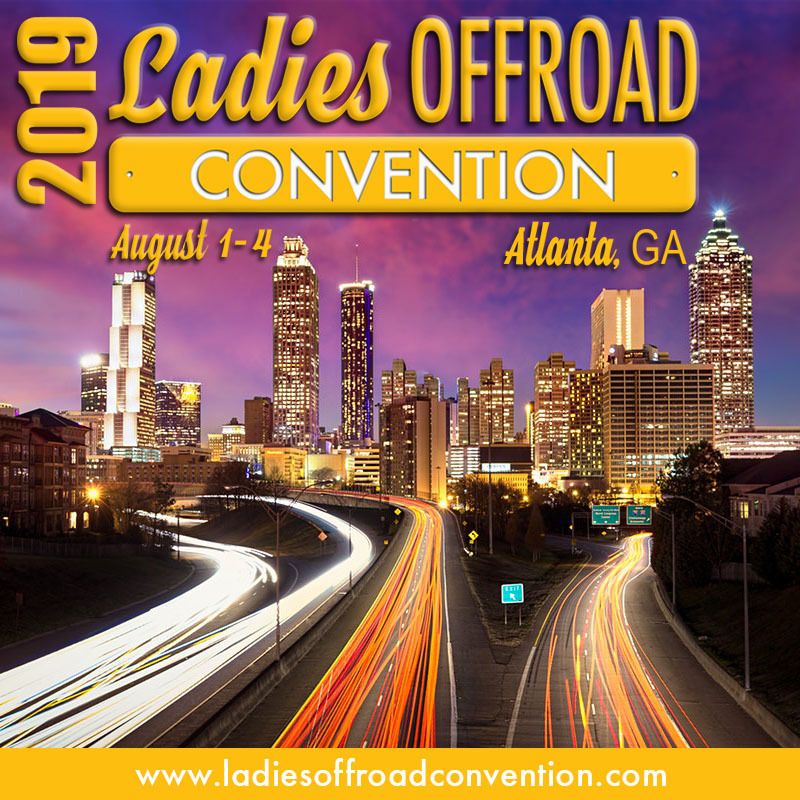 I have wheeled in TN, GA, SC and AL. 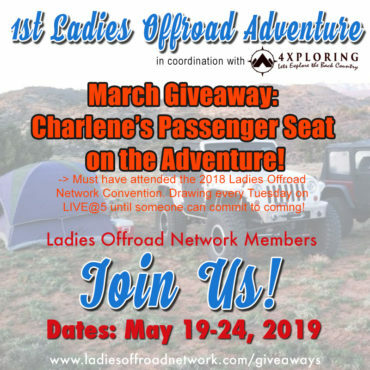 I have done trails in Sedona, but that was with my Ladies Offroad Challenge Top 10 Training Weekend from the Ladies Offroad Network and we were renting our Jeeps from Barlow Adventures, so I never got to see what my Jeep could actually do out there. It was still fun, but I really need to go out West to experience more terrain. I plan to be doing that this next year 2018." Q: Do you belong to an off-road club? Which one? What is their motto/mission? A: "I belong to 87 groups…haha. Too many to mention. Most are about safety and enjoying what Mother Nature has to offer us out on the trails. No Jeeper is left behind." A: "I help out by attending the fundraisers for homeless children, toy drives, and I make sure to never leave a Jeeper stranded. I also help other women on the trails. I try to help build up their confidence by conquering a trail that they may never have been able to before, or never even thought of trying." A: "Doing as well as I did on the TV show that I raced in, gave me the confidence to go further with it and really succeed in off-road racing. 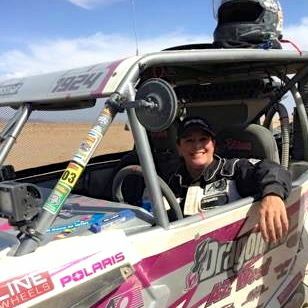 I want to motivate other young girls to get involved in the off-road world." A: "It was probably my 3rd night ride ever in Georgia, where we went out on the trails in a downpour. The red clay/mud was a pure milkshake; slippery, caked on to everything, and so much fun …haha. The fun really began when the Jeeper behind me decided to go slow into the big water/mud hole, that I just went through. The difference was he ended up flooding his engine from the water hole, where I hadn’t. Multiple guys tried to help get the engine to start, but it just wouldn’t turn over. The really tough part was figuring out how to get the Jeep off the trails and to a public road where a tow truck could get to him. We were miles from the main road, so a ‘Yota decided to try and winch him up the hill and towards the direction we needed to go. He couldn’t do it. Then 2 more Jeeps tried as well to winch him up the hill, but they couldn’t either, because the mud was so soft and literally eroding away. So I tried, and I got him up with no problem. I then had to get the others up as well, so instead of 1 by one, we created a train behind me and I used a tree to then help pull us up. By then the mud was thinner than a milkshake, so traction was pretty much zero. We had to use trees and the train method to help get us to the main road. It was that night that I realized that the Jeep family really doesn’t leave anyone behind no matter what the time is. We stick together till everyone is safe. By the time I got home it was 5 a.m. and a night I will never forget. Good friendships were made that night and I learned a lot as well." A: "Well that would be in the corn fields in Illinois, if that counts…haha. Otherwise it would be here in North Georgia going up Trey Mountain up in the town of Helen." A: "I love them all. There is always an adventure when I wheel and I love making new friends on the trails." A: "Does Evel Knievel count? Haha…I loved him growing up in the 70’s." A: "I love it! I love getting challenged out on the trails, and showing the guys I can do it too." A: "A lot of people think they know what they are doing and they don’t. They are careless and unsafe." A: "I am a strong woman with a lot of confidence, strength & intelligence. I would love to have younger girls look up to me and say, ‘I want to be just like her’. I currently motivate women in the gym, on the trails, and at the beach both physically and mentally. When they find out my age, they say, ‘wow’ and want to know my secrets…I always share them, and then push them to do it. Because, if I can do it so can you." A: "Be confident in your driving skills. Also, your off-road vehicle can really do a lot more than you may think." "2013 Jeep Wrangler Unlimited; it was named Snoopy, but has been renamed to BELLA after it underwent a gender crisis breakdown haha." A: "No. I drive a 2016 Toyota Tundra TRD PRO. Yes I am a full-time 4x4 driver…haha." A: "Hmmmm……That is a tough question. I have done so many, and I love them all. 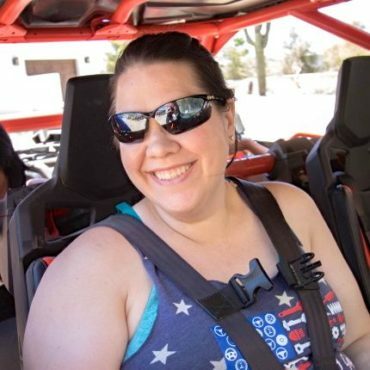 They all compliment each other and help make me a better Jeep crawler, well along with my natural driving skills that you just can’t teach...hahaha." A: "No. Unfortunately I don’t, though I wish I did. I need someone to take the time to show me how to in their shop."